Today’s guest post is written by, Vishal Gondal, Founder and CEO of Indiagames, who recently started a new venture called Sweat And Blood Venture Group – an early stage startup investment fund. However, I have an important revelation to make! All of us super internet folks and fancy internet companies are to some extent aiding these “bad elements” to flourish. Let me show you how. 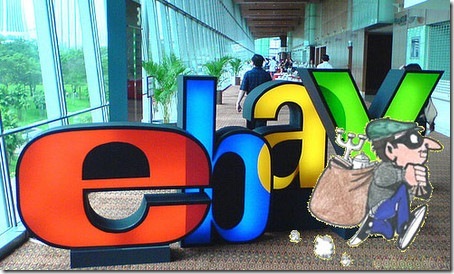 Let’s start by carrying out a simple search on Ebay.in (and similar sites) for your favorite movies, games, iPhone, mobile phones or laptops and there is a big chance that you will very soon see, not one but multiple deals, offering you these goods at prices far below the market rate and other online sites too. You may also find many products which are not officially launched in India and some products which the manufacturer doesn’t even manufacture! These are not products which an individual is trying to sell in a “garage sale” but are actually displayed on “Sale” by E-Shops with phony names, created on the site. Try doing a transaction with them and the truth is revealed. Most of these so-called stores are nothing but digital store fronts for operators who sell bootlegged, illegally imported and in many cases, pirated products. Let me share with you my own experience regarding buying on E-bay. Once I had bid on my favorite XBOX 360 game and post winning the bid, which was the cheapest, I was contacted by the seller who told me in no uncertain terms that I am a fool to buy the game for Rs.1,800, when he can mod my XBOX for Rs.750 and provide me a pirated game for Rs. 100. Now that’s a great deal! This was not my only brush with dicey E-Bay sellers. I was once sold a Fake Samsung TV…. which was a Chinese make with a Samsung Sticker on it. I thank my stars because I knew some people at the site, who contacted the seller and “protected my interest”. Many scheming sellers have also started using similar names of the original manufacturer. For e.g. you can find many phones from “Samsong” when you search for mobile phones in E-bay India, and if you are not extra careful, you might end up with a song – buying a “Samsong” phone instead of Samsung. The other E-bay scam that is very disconcerting is that of not honoring previous transactions made by a de-registered user. There have been hundreds of complaints regarding cases, where a buyer had paid the full amount but never received the product, only realizing after a few weeks that E-Bay has de-listed the seller. So, now they are in a soup because there is no way they can contact the seller to recover their money. Delving deeper into the matter, I found out that there were two kinds of buyers – one who is completely unaware of any such activity and believe the genuineness of the so-called shops. They believe that the stuff they are buying is fully legitimate and sports credible online brands. The other group is that of people who are fully aware of what is going on and they opt for the stuff knowing it all. It is from them that I learnt that online auction sites, social networks and groups in Orkut are the new underground street for “street vendors”. These are the same vendors, who previously used to operate in small shops across Mumbai, Delhi etc. Suddenly their market has expanded many folds…. Most of the online sites like Youtube, Orkut, EBay etc. are covered under the DMCA and have programs which help companies take down counterfeit and illegal products and I fully support these initiatives. However, the online sales market for many of the big companies are small and most of them don’t have the time, resources or motivation to have people constantly monitor such instances on the internet. So, the reality remains that these illegal activities continue to thrive on the internet and knowingly or unknowingly we are aiding them to flourish. I am now extra careful before I click on the BUY button because when I click to buy a Nokia N95, I am not sure whether I am committing myself to buy a genuine Nokia or a Chinese made fake! May be this is a good opportunity for someone who can take the pains to build an integrated online retail experience with actually holding the inventory themselves and providing after sales services…not sure how viable it is though…may be future group can do better than anyone else!